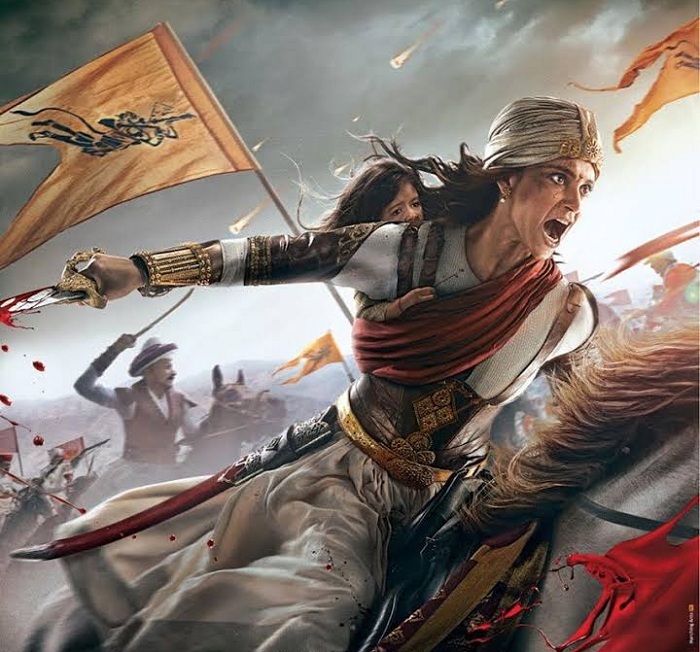 Manikarnika Movie Review, it's a Masterpiece! After watching Manikarnika movie starring Kangana Ranaut, I am in a whole different mood right now. Hence, this movie review may not be the usual self. Yes, I am moved after watching this epic tale! We all have heard and read about the cult true story of Rani Laxmibai. Manikarnika movie is all about her heroics. It is because of legendary warriors like Rani Laxmibai, we are living in an independent and free world. Rani Laxmibai is a true patriot and this film does full justice to her story. In years or may be in decades there comes a movie that touches one's heart and soul to the fullest. Manikarnika belongs to that rare category. Film is full on patriotism. Film exceeds all expectations. Kudos to everyone who are associated with the film. Salute! Manikarnika movie is based on the true story on legendary Indian warrior Rani Laxmibai - "The Queen of Jhansi". It is the story on the life of Laxmibai who fought battles against British East India Company in the times of Indian rebellion that started from 1857 onward. Technically, film is world class! Film cinematography is top notch. Film is shot on lavish scale. Every frame looks grand and every penny is well spent. War scenes are shot lavishly. Action scenes are simply spellbinding to watch in big screen. Coming to first half of the film. There are few weak moments in first half. A song could have been removed. First half could have been trimmed by around 10-15 minutes or so. But again drawbacks are very few and we can easily ignore that considering film is high on patriotism and emotion. After the interval film is simply unstoppable. One can't simply remove his eyes from the screen even for a second. There is not a single weak moment in the second half till the end of the climax. And climax will give you goosebumps. Manikarnika is high on emotion. So many tear jerking moments specially in second half of the film. Honestly, Manikarnika is one of the best Indian war film ever made if not the best. Direction of Krish and Kangana Ranaut is outstanding. Except few small error in first half, there is not a single loophole in direction. Kudos to both of them! Story and screenplay of Mr. K.V. Vijayendra Prasad is exceptional. He is a genius. Baahubali and Bajrangi Bhaijaan are the feathers in his cap. Manikarnika is all set to join this elite list. He is the best in business in India at this moment. Coming to performances. Kangana Ranaut looks every bit of Rani Laxmibai. She makes every scene a classic. 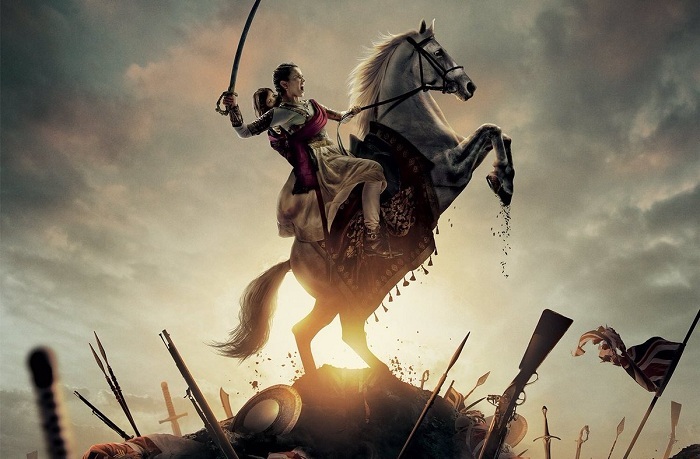 While watching the film, we simply forgot about Kangana and feels that Laxmibai is alive in front of us. Such is the impact she leaves. This is her best. Yes, her performance in Manikarnika is better than Queen and Tanu Weds Manu series. Will be highly surprised if she didn't win the 'National Award' for Manikarnika. Rest of the star cast Ankita Lokhande, Danny Denzongpa, Atul Kulkarni, Jisshu Sengupta, Mohammed Zeeshan Ayyub, Richard Keep, all have done a fabulous job to their respective characters. Coming to box office. This film is beyond box office. Honestly, I want the film to do as much as possible business at box office be it 200 crore or even 300 crore or even more. It deserves all the accolades. I urge every movie lover to watch the film atleast once. Such films are hardly made nowadays. Please go and watch it. 100% gratification guaranteed! Ratings - 4.5/5. It is a masterpiece!